The Beach Club Resort & Spa > Blog > What Steps Should You Take to Treat a Jellyfish Sting? What Steps Should You Take to Treat a Jellyfish Sting? Picture yourself on a bright sunshiny day enjoying an afternoon swim off the sugar-white beaches of the Gulf Coast and before you know it, something brings you to tears. What could possibly be interrupting your relaxing beach day? It looks as if you have fell victim to the long tentacles of a jellyfish. Most beach goers have experienced a jellyfish sting at one time or another. The stings of jellyfish native to the Alabama Coast are rarely life threatening and there are as many as sixty different kinds of jellyfish found in the area. 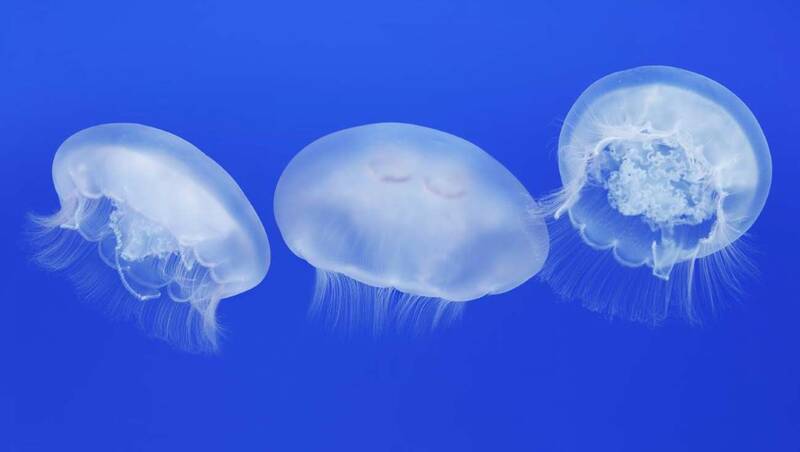 According to Jellyfish Facts found on the GulfShores.com website, sea nettles, the comb jelly, moon jellies and the cannonball are often found in our local waters. Jellyfish tentacles have tiny spine covered tubules called nematocysts that anchor themselves to the skin and inject you with chemicals. It is like being stung by multiple ants or bees at the same time. Here are 3 steps for first aid if you or anyone you are with becomes a victim to a jellyfish sting. If there are tentacles still attached to the skin; try to remove them before additional toxins are released into your body. Be cautious and use thick clothing or gloves if they are available. Be sure not to touch the tentacles with your bare skin because the nematocysts can still produce toxins even when they have been detached from the jellyfish. Scraping the area with a flat surface such as a credit card helps clear the skin by removing any remaining nematocysts. Some guides suggest pouring vinegar on the stung area for at least 30 seconds and then soaking the area for 30 minutes. This remedy does not work on Portuguese Man o’ War stings which are not considered a jellyfish but a colony. Saltwater is an alternative if vinegar is not available. Dry the infected area and apply Benadryl or antibiotic ointment. The pain should subside after 5-10 minutes of treatment and within 24 hours most of the pain should be gone. One problem with the treatment of jellyfish stings is the old wives’ tales. Contrary to popular belief, victims of a sting should not pour fresh water on the sting because it can cause additional venom to be released. Rubbing sand on a jellyfish sting can cause severe irritation to the already aggravated skin. Pouring alcohol or spirits on a jellyfish sting may cause negative effects and can also prompt the release of venom. After being stung, if you show signs of breathing problems, chest pain, loss of consciousness, hives, dizziness, irregular heartbeat, nausea or muscle spasms occur, call for emergency assistance right away. Most jellyfish stings are minor and get better when treated promptly. We recommend knowing your surroundings when swimming and adhering to the purple beach flag warning when there is a dangerous marine life advisory. Be safe and cautious when swimming and have fun!